memories and observations from 50 years of travels and involvement in development and management projects in over sixty lands and five continents. These memoirs and observations are dedicated to the millions of small farmers and fishers, the food producers of the world, it has been the writer’s privilege to serve, in five continents and on their seas and inland waters. Reflections contains a fascinating kaleidoscope of first hand impressions of peoples and lands around the globe. 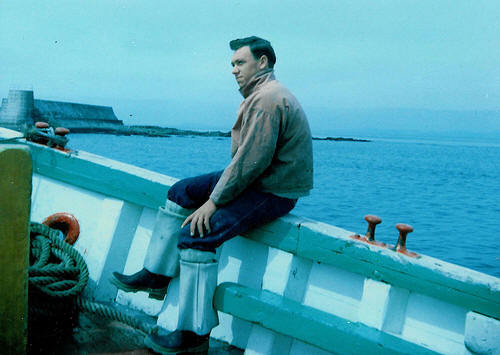 They are the thoughtful account of a Scot who left school before he was fifteen years old, and spent the next 7 years on trawlers and seiners in the North Sea and East Atlantic. 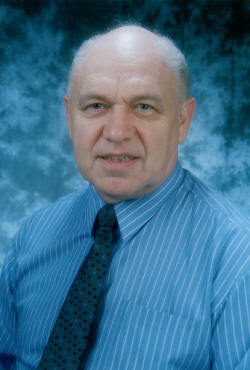 A few years later he became a lecturer in the College of Fisheries, Newfoundland, and an Assistant Professor in the University of Rhode Island, USA. But his heart was set on doing something for the millions of poor fishing communities in Africa, Asia, South America, and the Pacific. So, he took up assignments with the United Nations Agencies and bilateral organizations, which saw him serve in over 60 countries, in both marine and inland fisheries. Thomson was deeply touched by peoples he lived and worked amongst, and sought to grapple with the economic, social and environmental issues they faced. This led him to question some conventional approaches, and to study how imperfect aid efforts could be improved. He was particularly influenced by thinkers like E. F. Schumacher of Small is Beautiful, and by the range of ideas and initiatives he encountered among development workers, educators, politicians, students, and artisans in each country visited. Few will agree with all of the conclusions and ideas promoted in the book, but most readers will find them stimulating and thought-provoking. The writer hopes that the observations will also be entertaining and even wryly amusing in places. While deploring current militarist responses to differences between nations, yet acknowledging the threats to freedom and democracy of terrorist activity and attempts by some governments to control the press and judiciary, David offers a measure of hope and encouragement based on personal experience and events witnessed in troubled lands and in troubled times. Electric Scotland Note: We're delighted that David has decided to launch his book on our site. Of course at some point he'll be getting it published in hard cover and so he'd be happy to get any comments on what you think of the content and also any errors that you may spot. Please email him at thomson13@gmail.com. * Note on poetry and quotations: Most of the quotations from books, poems and songs, are selections only. I have made slight amendments in places for the sake of grammar or clarity, and occasionally altered a word or phrase that did not accurately reflect my train of thought. Where such liberties have been taken, the quotation is marked by an asterisk. I trust that the few deviations from the originals in no way misrepresent the esteemed writers whose works are quoted.